This article was last updated Jan 28, 2019, but some terms and conditions may have changed or are no longer available. For the most accurate and up to date information please consult the terms and conditions found on the issuer website. Have you ever wondered if there’s really a big difference between Visa® and Discover? You’ll notice both companies’ logos on the front of credit cards and at cash registers around the world — but what sets them apart? In this review we’ll dive into the history of both companies, the benefits associated with credit cards from each company, and their acceptance rate around the globe. Before we dive in, it’s important to understand the difference between a credit card network and a credit card issuer. A network is responsible for deciding where credit cards are accepted and handles the transactions between merchants and credit card issuers. The four major networks are Visa®, Mastercard®, Discover and American Express®. Networks do not issue credit cards, but instead authorize and process credit card transactions. A credit card issuer is responsible for issuing your credit card. The issuer designs the rewards programs, decides who is accepted, and sets your credit limit, the APR and all other terms. The biggest credit card issuer in the U.S. is Chase. But, as you will read below, some issuers can also own their own network. Where do Visa and Discover fall? Visa is a network. Banks all over the world issue Visa cards to consumers. Visa has a wider acceptance and usage than Discover. Discover is both a network and an issuer. Basically all credit cards with the Discover logo on the front are issued solely by Discover. This limits the acceptance of Discover since it is only available via their limited network. The following graphic shows the share each network has in purchase transactions in 2016. Visa has the largest share at 54 percent while Discover has the lowest at 2.3 percent. Although Discover has shown growth since 2015, it is still the least used network for purchases and far from the 139 billion transactions of Visa and other top networks. In 1958, Bank of America launched BankAmericard — the first card to feature “revolving credit” and became the first credit card network. The original BankAmericard was made of paper and only had a credit limit of $300. In 1970, Bank of America passed ownership of BankAmericard to the numerous issuing banks. This created the foundation for the wide network that Visa has today since the various banks that operated Visa in these years were located across the nation. It wasn’t until 1976 that BankAmericard officially changed its name to Visa. The issuing banks decided it was best for there to be a sole global network and made Visa its own company. 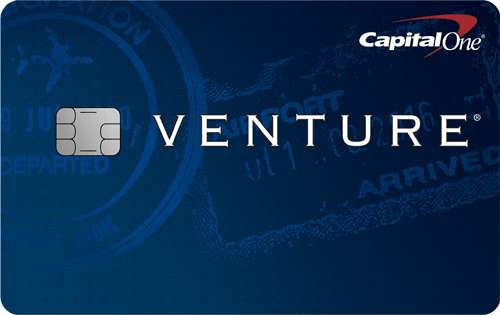 Today, Visa is the largest credit card network and offers dozens of credit cards to consumers. Visa credit cards are provided by various issuers and backed by the Visa network. Visa also provides debit cards, prepaid cards and secured cards. Since Visa is a network, you can’t apply for a Visa card directly from Visa’s website — you need to go through an issuing bank. Visa cards have global acceptance — millions of merchants accept Visa worldwide. 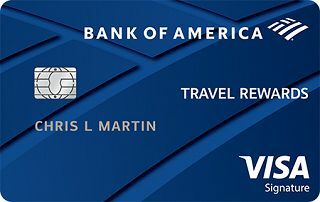 The ability to use this card nearly everywhere credit is accepted is one of the reasons a Visa credit card is a great option. Visa credit cards typically require an average or better credit score; however, there are options for people with less than perfect scores. In addition, if you are new to credit, there are several secured card options: USAA Secured Card® Platinum Visa®, UNITY® Visa Secured Credit Card, Secured Visa® from Merrick Bank, primor® Secured Visa Classic Card, OpenSky® Secured Visa® Credit Card, and primor® Secured Visa Gold Card. Secured cards are a great way for you to build credit, and you can build credit with as little as $10 a month on a secured card*. 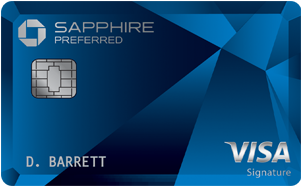 Visa offers three types of cards: debit cards, traditional credit cards, and signature cards. Each card comes with varying benefits. See below for a breakdown. Other features like mobile app, free credit score, and intro bonus offers vary by credit card issuer. Visa credit cards are a great choice for people who spend both in the U.S. and abroad since Visa has worldwide acceptance. Visa has dozens of credit cards that provide a range of benefits with something for everyone. If you have average or better credit, you will enjoy the wide selection of Visa credit cards with premium rewards and benefits. Since there are numerous issuers of Visa cards, in addition to the standard Visa benefits, you may receive additional perks from the card’s backing bank. Overall, Visa is a great choice for people who want a credit card that is widely accepted and comes with various benefits. (853) Over the Past 60 Days! Discover was originally formed by Sears in 1985. The following year, in 1986, Discover released its first credit card with features that were unheard of at the time. The card was consumer driven with cash back rewards, no annual fee, and higher credit limits than other cards. This set off a competition among credit card issuers to offer the best perks for a wide range of consumers. Sears sold off Discover to Morgan Stanley in 1997. Discover didn’t become an independent public company until 2007. Since Discover wasn’t backed by any banks, the company had to become both an issuer and a bank. This limited Discover’s acceptance, because while Visa and Mastercard had issuing banks all over the world providing their cardholders usage, Discover did not. 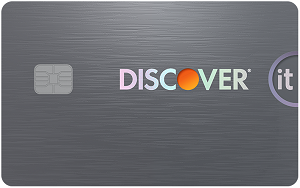 Since Discover acts as both issuer and bank, their credit cards are exclusively available through Discover. This means if you want a Discover card, you need to apply directly on Discover’s website. In addition to issuing credit cards, Discover operates PULSE, a network of more than 4,000 banks offering ATM and debit card access; Discover Network, a network with merchant and cash access locations; and Diners Club International, a global payments network. 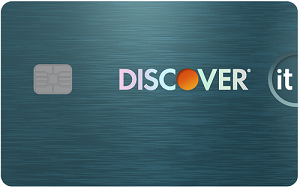 Discover is the sole issuer of Discover cards. This creates limitations on the acceptance of your card and the benefits you can receive since you can’t enjoy additional benefits like you can with Visa cards that are issued by a bank. For example, a Discover card only has the benefits provided by Discover. In contrast, the Amazon Prime Rewards Visa Signature card is issued by Chase and will have benefits from Visa, Chase and Amazon. Discover cards are accepted by 97 percent of U.S. merchants. This may seem like a lot, but you’re more likely to run into issues with Discover than Visa. If you find yourself traveling abroad with a Discover card, definitely bring another payment option. Outside of the U.S., Discover has even less acceptance, and you will have to rely on the Diners Club network for locations where you can use your card. The Diners Club network is extremely limited outside the U.S., and, excluding Asia, you will have a very hard time using Discover abroad. Regardless of your credit score, Discover has a card for you. Discover accepts a range of credit scores and specializes in a selection of cards for people who are new to credit or have limited, bad or fair credit. 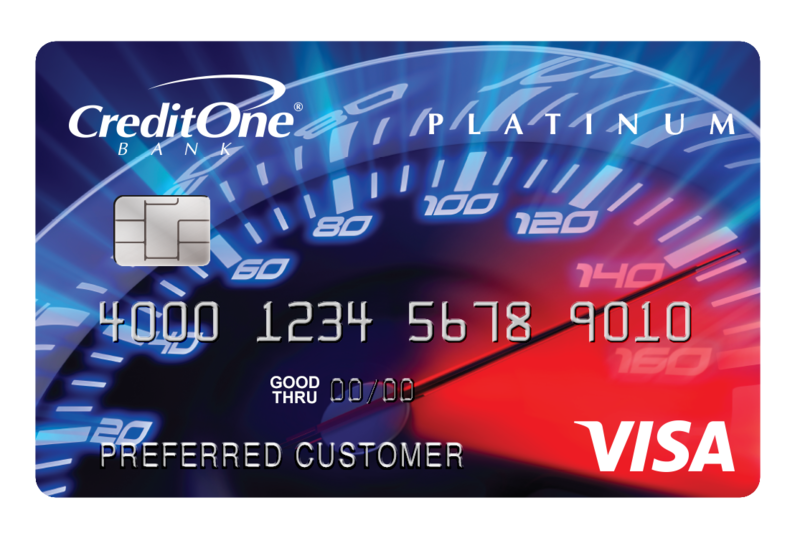 Those who have good to excellent credit have several cards to choose from as well. Discover can be a good option for you for several reasons. If you’re looking for a balance transfer card, Discover offers a great 18-Month Balance Transfer Offer that will allow you to pay your balance without accruing interest. If you already have a card from another issuer that is backed by a more widely accepted network, then you may want a Discover card to maximize your rewards. If you’re a student, Discover offers great options that provide the groundwork to build responsible credit behavior. Discover’s student cards also reward students for things like good grades. You may look to Discover if you are new to credit or have bad or poor credit because of the selection of cards they offer that are designed for consumers looking to establish or rebuild credit. Overall, Discover is a good choice if you plan on spending in the U.S. and enjoy the benefits the Discover network provides. Can you have both Visa and Discover credit cards? 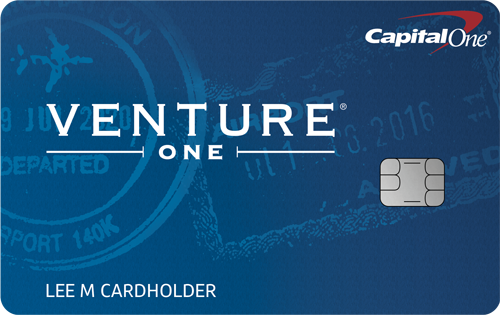 Yes, you can have both Visa and Discover cards. If you want, you can even have multiple Visa cards and multiple Discover cards. Can you prequalify without hurting your credit? 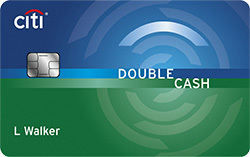 You can prequalify for all Discover cards on their website and select Visa cards. Since Visa cards are offered from a range of issuers, prequalification options vary. Always check if a card has the option to prequalify before you apply, since prequalification won’t damage your credit score and is a great way to shop around for the best card. Can you combine benefits on Visa and Discover cards? No, you cannot combine benefits from Visa and Discover cards. The benefits each issuer provides are unique, and you can’t combine those benefits or rewards you earn from Visa with the benefits or rewards you earn from Discover. For example, if you make a purchase on a Discover card, you can’t use the extended warranty feature from your Visa card.